Motion in the entertainment is known in many forms, sometimes it’s something spectaculair like a person flying on wire during a theatre show. Other times you don’t even see the motion in action untill suddenly you realize that there is a new setpiece on stage. Once the motion idea has become realisable the next stage is to bring it in production. We can take care of every part of the proces, from preparation to load out and everything in between. Objects like for example trusses, setpieces and video walls are being prepared before repetition and show, the axis connected to them are ready for running cue’s (in theory). Objects like for example aerialists, performers and changeable decoration are being prepared during repetition and show. This is where motion cue management comes in. The Whole Sha-Bang means: Everything, including the extras. And that is exactly what we do, we can handle your full motion package or a part, design to load out and everything in between. It doesn’t matter how big or small your project is, if you want to fly a person or move a setpiece, we are the right team for the job. This video is an example how powerful 12 objects in a row can be. It also shows the power of motion combined with other disciplines, in this video lighting and pyro. Every project is special, no matter the size or budget. A single axis can already have a huge impression in a project. Have a look into some of the projects we were involved in, to see the details click on the project. 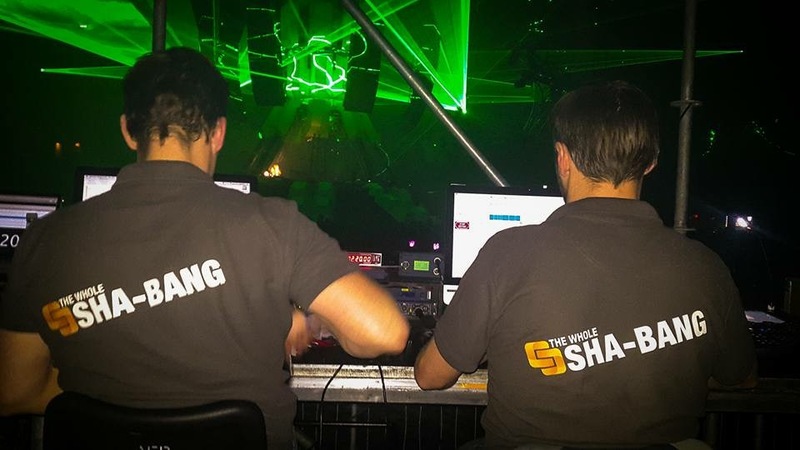 We are The Whole Sha-Bang, a company with motion enthousiastic professionals. 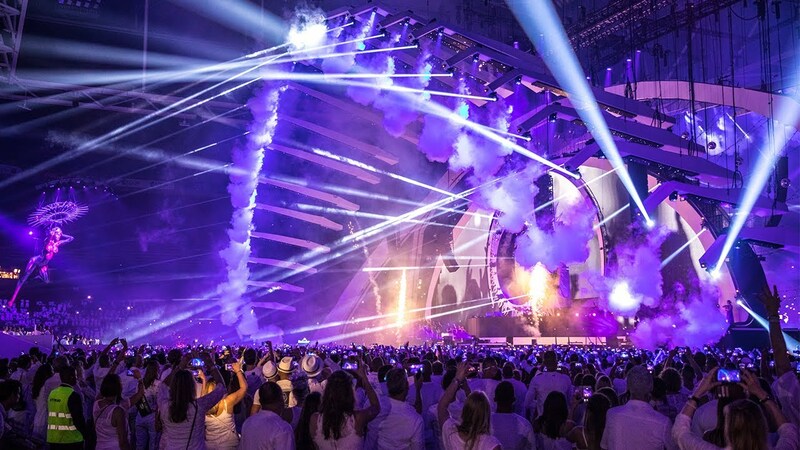 It started in 2004 when Arjen Hofma started working with the Cyberhoist system at Tickled Pink and the Rammstein Reise Reise tour, till now with numerous projects, lots of airmiles, experience in many motion systems and a lot of new colleague friends from all over the world. Take a look around to see what we can do for you or contact us straight away.